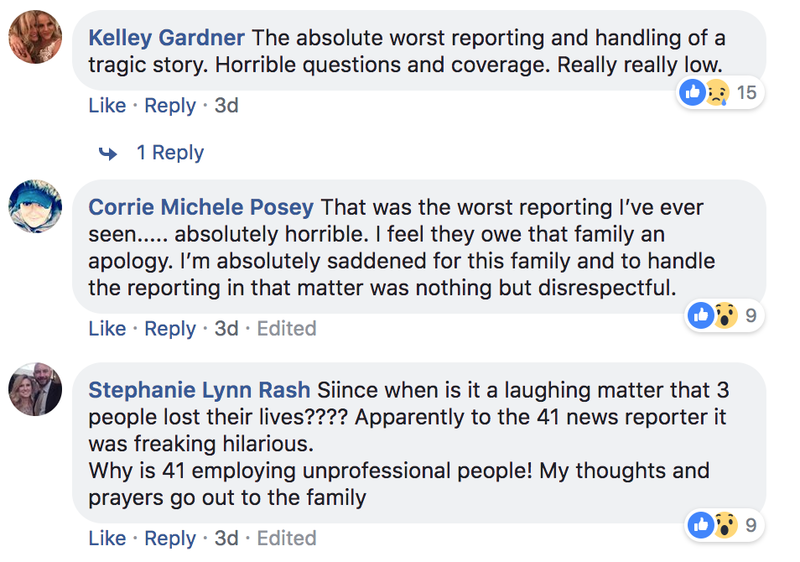 KSHB in Kansas City is getting a lot of flak for what a Reporter at another station did. The KC stations were covering the story of 3 people killed in an accident. KSHB was streaming a police press conference, where an officer was updating the story of the 3 people killed. At the end of the press conference, a WDAF Reporter can be heard on camera laughing and joking with the officer. Many watching the stream thought it was a KSHB Reporter that was laughing at the scene where 3 people were killed. KSHB did not name the station or Reporter, but sources tell FTVLive that it was a Reporter for WDAF. KSHB Reporter Steve Dial was the one covering the story and was also the one getting blamed for the laughing and joking. Looking at WDAF’s website, the Reporter on the story for WDAF was Shannon O'Brien. The station has not commented on what was heard on the stream.